I believe that banks have identified Artificial Intelligence as key to transforming their business. These banking chatbots can bring the bank closer to its clients, right on their mobile screens. They can handle bank account related queries, address customer concerns, share information, perform transactions and do much more that too 24*7. Streebo Chatbot Builder is an automation tool for building such chatbots for banks. It can easily link the bot to any enterprise backend of your choice with a simple point and click. 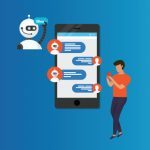 Moreover, these chatbots built using Streebo Chatbot Builder can be embedded in your banking website, app or any 3rd party chat client like Facebook or WhatsApp. Let’s have a look at a few use cases on how these bots can make your Bank AI-powered! Hi James? How can I help you? May I please know you full name as registered with the bank? Would you like to do anything else? Hi Mike? How can I help you? Please select one of the products you are interested in? That’s Great! I want to know if you are a senior citizen? Would you like to apply for FD? Your FD has been opened. Please enter email id for updates? Hi Amy? How can I help you? My credit card is lost. Please block it. Sorry to hear that. Please type your Account Number. Your card has been blocked. Do you want to apply for a new card? 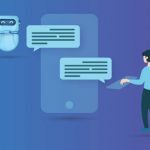 Are you ready to give AI-powered Chatbots a TRY?